Telegram Channels for UPSC preparation. Hello friends, UPSC preparation is slowly being decentralised from Delhi to our study rooms, thanks to internet, preparation has become more simplified and connected. Telegram and Whatsapp have become very essential in our day to day life, people have formed in to groups on these platforms to help each other for preparation. Here is a list of few Telegram/whatsapp channels that I found for UPSC, SSC preparation. If you know any other than these , please use the comments section to add them , it will be helpful for every one. Also remember these are like double edged swords, you can find material,question papers and other stuff easily, but also lot of unnecessary stuff too,so stay focused on your strategy and use them as spring boards to help you rather than distract you. 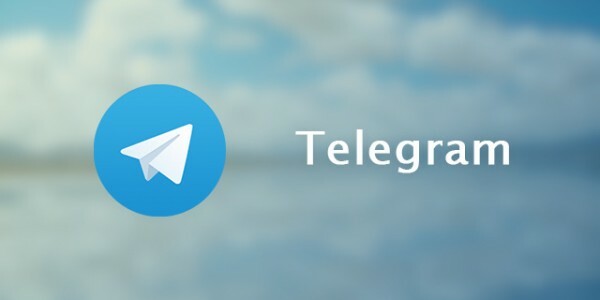 Small difference here , Telegram you can access even with out a smart phone, via web , all you need is a phone number. Also telegram is more secure and works on @mentions, with super groups up to 1000 members, Where as telegram channels are one way communication , where only the admin can post and others cannot. https://t.me/parivarthanias – For Updates of Rajya Sabha TV, All India Radio Spotlight, Prelims MCQ Daily quiz Practice, Suggested articles from various news papers. We do not own , affiliate,partner with any of the channels mentioned below, we don’t have any control over what they share , so if you have any kind of issues with the content of the channels contact their respective admins, we are not responsible in any manner , we are sharing links only to inform the new aspirants, we are just messengers. There is a real problem for students with less popular subjects like agriculture and Literature, so please use comments section of this post or ping @naylak on telegram to send us links/groups for optional. Home - UPSC - Telegram Channels for UPSC preparation. Hi, thank you for your valuable feedback, COming to that EPW article, publish in the sesne , entire article or the link ? it is covered in weekly wound up right ? hi, Once you are in telegram app in mobile, you can search for @iasips or any other channel directly and click join below that page, also you can open phones browser and visit this page, and click on the link which also takes you to your desired channels. Sir please do tell us about the editorial of the day (only one editorial) so that we could not skip that at least for the day…..
Hello sir. Hats off to your tremendous effort to help the needy aspirants. I want suggest you please make weekly essay writing challenges for writing practice. So that we can review and get feedback from other aspirants. Thank you. To go First Post of this channel.. Click on below link.. Thanks Men… for providing helpful material for UPSC. Thanks for your diligent work. Well almost all the stuff is free, people share with other aspirants for free of cost. But I have been informed that money polling groups are created and so many got cheated .So be careful . Hi sir, Can you please post any link related to Political science and International relations optional. Hi sir, can you please share link for medical science optional.? Do we have any channel for FORESTRY optional?